More and more people prefer to cut their bangs or hair end by themselves. 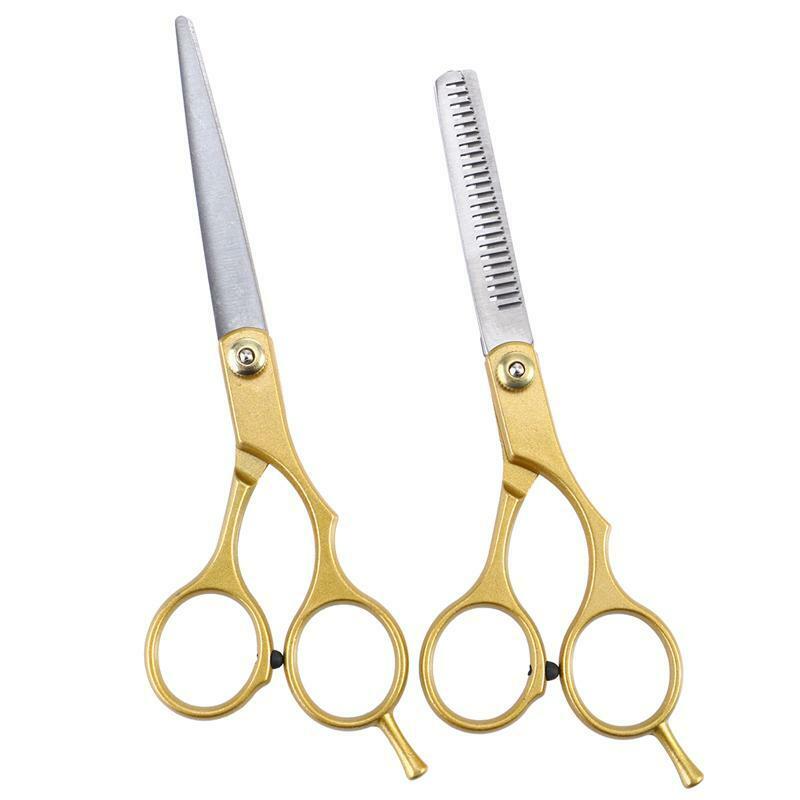 If you are one of them, a pair of simple but professional hairdressing tool is very necessory. 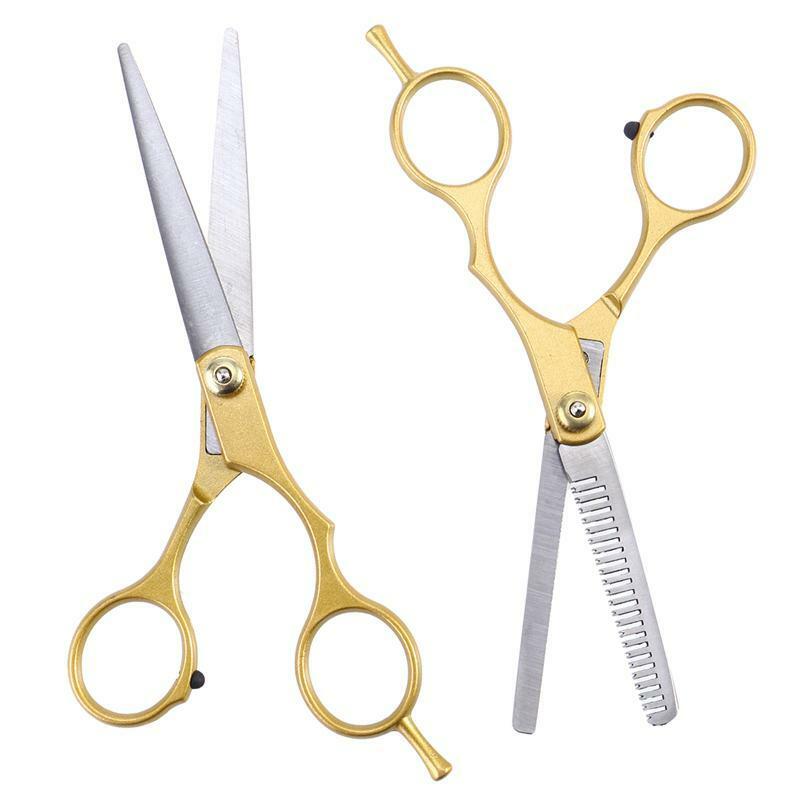 This scissors suit is manufacured not only for home use, but also suitable for professional salon use. Made of top-class stainless steel, it comes with smooth surface and not easy to hurt people. The ergonomic design makes it comfortable to use for hairdressing. - Size: About 15 x 5 x 0.3cm. 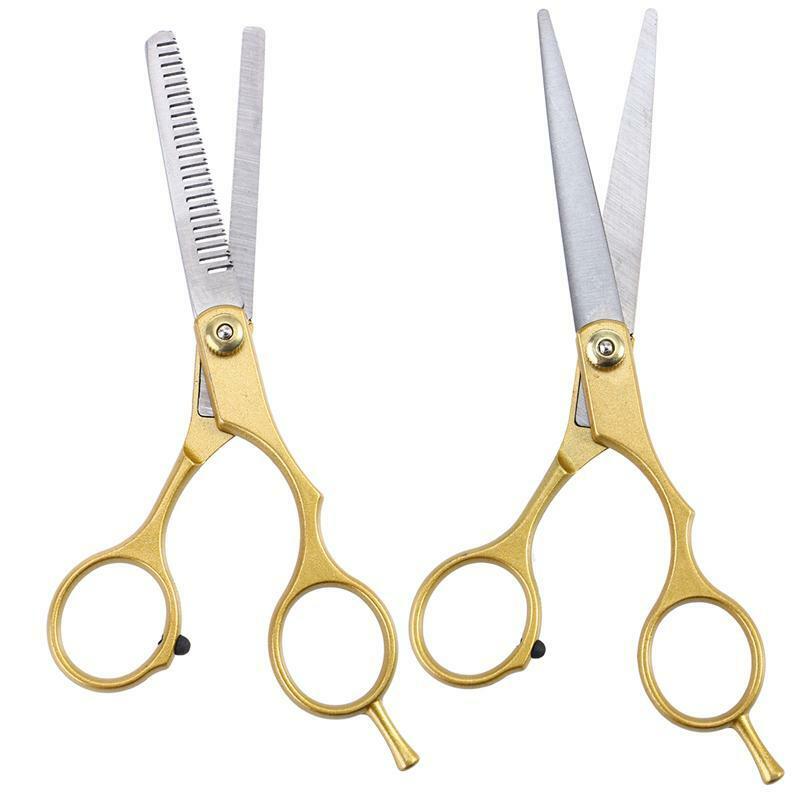 - Made of premium stainless steel, the scissors are anti-corrosion and hard to rust. 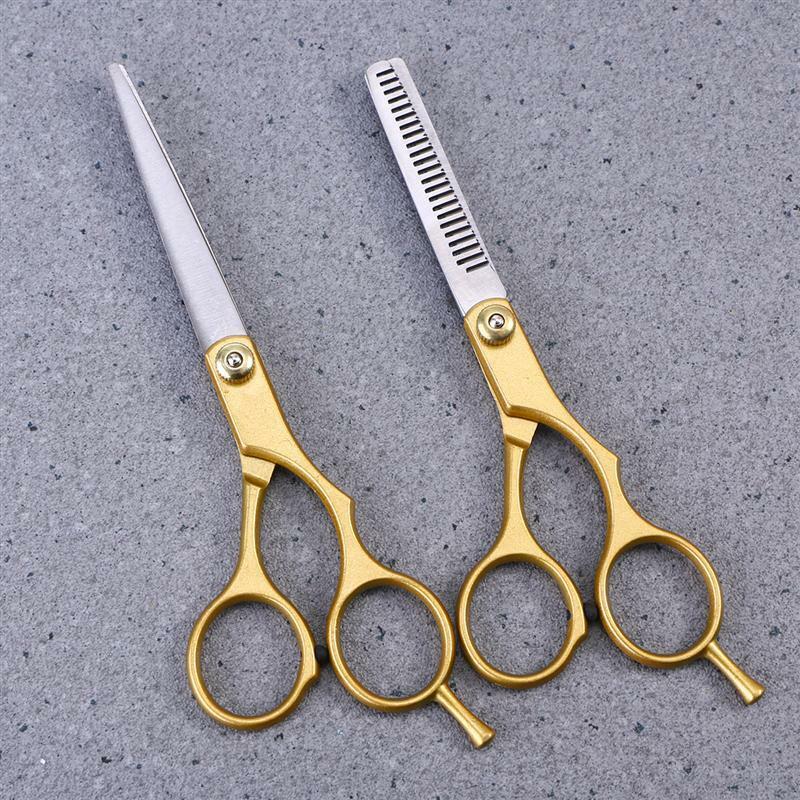 - Designed to cut hair smoothly and evenly without causing any distress to the hands. - Ergonomic design, suitable for any thumb and finger, comfortable to use. 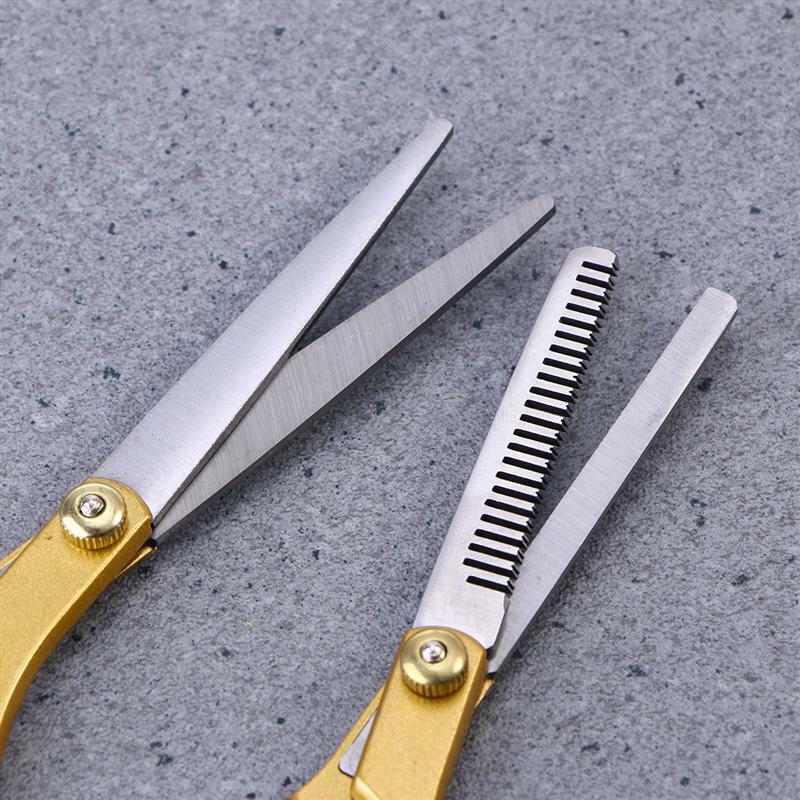 - Ideal for barber salon or home daily use. 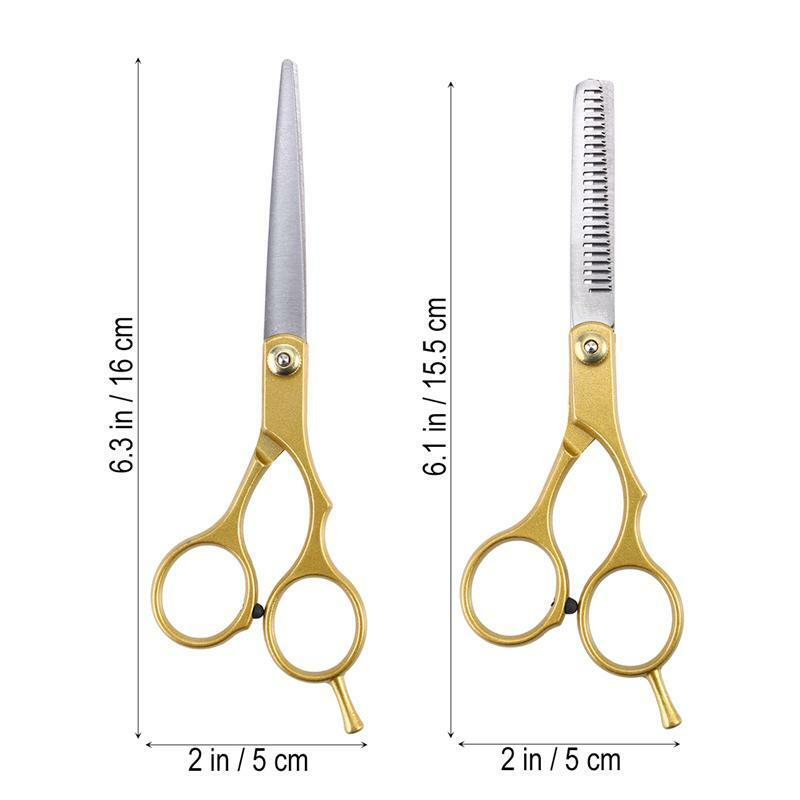 - The scissors are very sharp, not easy to stuck and damage hair. - Safe and easy to use on nen, women, the elderly, children, etc.